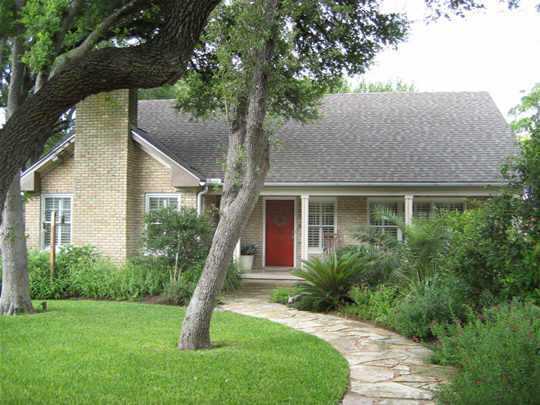 How Feng Shui helped sell a home in 11 days. Feng Shui (fung schway) is a system of living in harmony with your environment. Environments that use Feng Shui look beautiful and serene. Moreover, Feng Shui can lead to better health, wealth and relationships. In recent times, Feng Shui has grown in popularity. Corporations such as Coca-Cola, Bed, Bath & Beyond and Proctor Gamble use Feng Shui in their corporate buildings. Many celebrities, including Oprah Winfrey, have their own personal Feng Shui consultants. Fundamentally, Feng Shui is about chi or life force energy. It’s the invisible force present in everything. Chi is energy, and when it’s blocked in your home, you may feel stuck in a rut. In order to live a healthy and happy, it’s best to have a flow of chi in and around your home. Employing the basic principles of balance and flow in your environment not only creates a visually and emotionally appealing space, it allows you to feel grounded and comfortable. It’s like acupuncture for your home, unblocking stagnate energy and revitalizing your environment. Feng Shui is based on the principle that people lead healthier and more abundant lives when their environment is in balance. When when you increase your enjoyment of your home, you’ll increase your enjoyment of your life! Create good energy in all areas of your home. If you are uplifted when you look at an object in your home remove it. Fill your home with things you love and uplift your spirits. Love is a very powerful emotion and creates good energy. Open the windows throughout your home and let fresh air in! Let the sunshine in. Don’t keep your home too dark. This creates stagnation. Too much darkness is like too much clutter – it weighs you down. Fix everything in your home that is in need of repair or is broken or chipped. Remove dead plants outside and keep plants inside trimmed and healthy. Declutter your home. Clean out your closets. Clutter prevents the flow of energy. Because your bedroom is very important in supporting your health it is important to ensure that it has good Feng Shui. Generally speaking, it’s best to place your bed along the longest wall of the room. And don’t put your bed against a wall with a toilet directly behind it because it creates negative energy. My study of Feng Shui helped me understand how the quality of light in a space affects the way the space feels. When there’s abundant light in a space it feels warm and welcoming. The absence of light creates lethargy and in the long-term, depression. Light is energy. 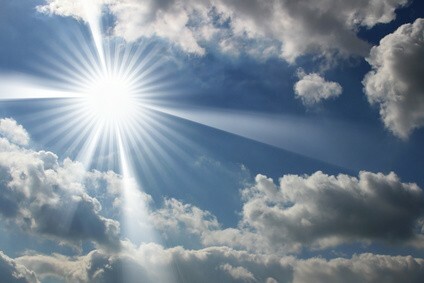 Just as the quality of light in an environment creates energy, the light inside us all is key to inspiration. Inspiration means, quite literally, being in Spirit. Being in Spirit can be described as feeling grounded or being in the present moment. You’re in the flow. And when you’re in the flow, you’re open to new ideas. Ideas simply pop into your head. You may receive an answer to a problem, insight into a new way of doing something, or a fresh approach to a dilemma. Inspiration is always available to you. It’s the perpetual light inside of you. Sometimes negative thoughts cloud over the ability to connect to inspiration. Negative thoughts can create a writer’s block or burnout or depression. Regardless of what we call it, the problem is that we’re not connecting with our inner spirit or light. The problem ISN’T that we don’t have any more light. When I hear someone say “I’m not creative” I think, “That statement couldn’t be further from the truth.” Every one of us is creative because we are spiritual beings. You may not feel inspired to decorate a room, or paint a still-life landscape, but that’s not the essence of creativity. Creativity is the result of connecting to inspiration. It can be manifested by deciding to take your dog to a new park or picking colorful files for your office or simply cleaning your home differently than you usually do. Creativity is not reserved for the arts. Think of each day as a creative experience, it is yours to paint the way you choose. If you connect to inspiration you will absolutely have a fulfilling and energized day. You can bring new energy and ideas to the mundane. You create the day you want to have by your choice of either connecting to Spirit or by blocking off your light with dark clouds of anxiety or living in the future or in the past. Inspiration is found in the present moment. This is where ideas spring forth. In this state of being you can connect with your inner self which inevitably connects you to inspiration. Buying a Home? Look for these Feng Shui Features. When you’re in the market for a new a home your biggest priorities are usually price and location. Next, the floor plan of the home and the feeling you get when you walk in will be deciding factors. Have you ever experienced that feeling of “ahhh!” when you enter a space? It’s an intrinsic feeling you get when an environment feels nurturing. It’s a great indicator that the house has good Feng Shui. 1. Where is the home located in relation to the street? Avoid buying a home on a T-junction. When a home is on a T-junction it gets bombarded with traffic energy coming towards it. The result can be increased arguments and conflict at home. If the home sits back a good distance from the street or if there is landscaping between the street and the home it alleviates the negative effects. 2. Does the front door face the street? Look for a home a with front door facing forward, not to the side, and which isn’t blocked. The front door is important in Feng Shui because it is the primary pathway for energy. A front door which enjoys a clear pathway can receive energy- also referred to as “qi” – and the home will be healthier. Avoid having large trees directly in front of the door which block qi. 3. Is the floor plan practical and functional? Practicality almost always indicates good Feng Shui. Some minor oddities are endearing, but things that make you scratch your head and say “what were they thinking?” are almost always a sign of bad Feng Shui. Trust your instinct. If it’s impractical and feels awkward to you it can likely cause problems in your home due to unbalanced energy. 4. Does the home have good flow? 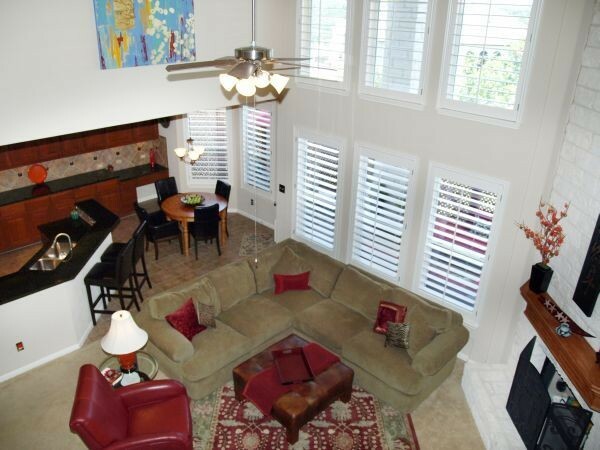 Open floor plans are preferable because they allow qi within your home to circulate. If the floor plan is compartmentalized ensure that rooms have windows so you create good qi pathways. 5. Do you feel comfortable with the way the home sits on the lot? Having a steep hill six feet behind you can cause you to feel claustrophobic. Conversly, if the home sits on top of a hill you may feel exposed and unsupported. It’s best to look for a flat lot that comfortably fits the home. When home is grounded and securely placed on the lot, you’ll feel the same. 6. What type of driveway does the home have? Is it circular? Don’t buy a home with a circular driveway unless you plan infrequent use. If you use a circular driveway often, the coming and going of the vehicles create a disturbance of energy in the front of your home which can cause conflict inside your home. For Good Feng Shui take a look at these Areas in Your Home First. The art and science of Feng Shui provides guidelines for assessing how healthy the energy (or “qi”) is in your environment. Certain areas of your home have a bigger influence than others in determining whether or not you have good Feng Shui. When your home has good Feng Shui, it supports your health, wealth, and relationships. When it doesn’t, you may experience struggles or what’s commonly referred to as “bad luck.” Of course your home is the sum of its parts and every area has some impact — even small areas like the top shelf of your closet! First – The Front Door Why? In Feng Shui, qi is the life force that fills your home. All exterior doors and windows are qi mouths, allowing energy into your home. The front door is the most important qi mouth and the direction your door faces determines the quality of qi your home receives. The door is best placed facing forward and not sideways. It can easily receive qi when facing forward. A front door facing sideways is kind of like having your face on sideways – it’s awkward and strained. A winding pathway leading up to the door rather than a straight path is preferable. Winding paths allow qi to meander to the door rather than rush toward it. If you’ve got a long, straight path you can place potted plants or bushes alongside of it to help slow down the qi. If the direction of traffic flows towards you, a fence or landscaping can prevent qi from rushing toward your front door. When qi rushes at your door it can cause conflict in your home. Keep the front porch free of debris and in good condition. 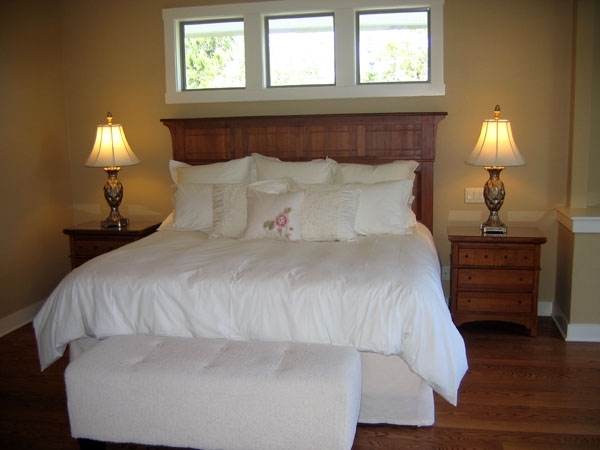 Second – The Master Bedroom Why? When you’re sleeping, you’re less guarded and more susceptible to qi forces in the room. For good health, it’s important to ensure that your bedroom is healthy. Place your bed against a solid wall. If you can’t do this because of windows, if you have a solid headboard it’ll help guard you from the energy coming in from the windows and you’ll sleep better. Don’t place your bed on the same wall as a toilet or in line with a toilet. Place your bed flush against a wall rather than placing it diagonally. If the floor plan doesn’t allow this, put a wall screen behind you to give you support. Place your bed facing the bedroom door if practical. If your bed is in line with a door such as the bedroom door or bathroom door, keep the door closed when you want to relax so you’re not hit with qi. Avoid placing sharp corners or objects pointing toward your bed. Place a nightstand on each side of your bed. (They don’t have to match). If your bed doesn’t have a footboard, place a bench at the foot of your bed. Third – The Foyer Why? This is generally where qi first enters your home. The foyer sets the tone for the rest of your home. If your front door opens directly to a living area, create a virtual-foyer by using an area rug (consider a circular one), and a console or buffet table next to the door. The purpose is to slow down qi from rushing into your space. Avoid clutter. It’s best not to keep your shoes by the front door but if you do, ensure that they’re tastefully organized and not in obvious view. Be mindful of the artwork you see upon entering and ensure it’s something that lifts your spirits. Generally, a mirror is appropriate in this area. Feng Shui has nothing to do with superstition, religion, or philosophy; it’s about living in harmony with your environment through balancing energy (or “qi”). When a room is balanced and qi can flow gently, you’ll automatically feel comfortable and at ease. The flow of qi is essential to personal comfort and well-being, and your body intuitively feels when an environment is balanced or imbalanced. It’s simple…when a buyer feels comfortable in a home it will sell and when they don’t the home won’t sell. If you believe that Feng Shui is New Age fad, it may surprise you to know that the eastern cultures have practiced the art of placement for centuries. And now that Feng Shui has been westernized, buyers and sellers are using Feng Shui to buy and sell real estate. The idea behind Feng Shui is to create a harmonious environment to support the health and prosperity of the occupants by placement of objects, use of color, landscaping, and the five elements – fire, earth, metal, water, and wood. The simplest way to look at it is that if any element is out of balance or missing, we feel off-balance too. Every object vibrates to create a unique combination of energy. Feng Shui helps home sellers create balanced energy which will attract buyers. For example, a white front door and a semi-circular front door mat are metal elements. 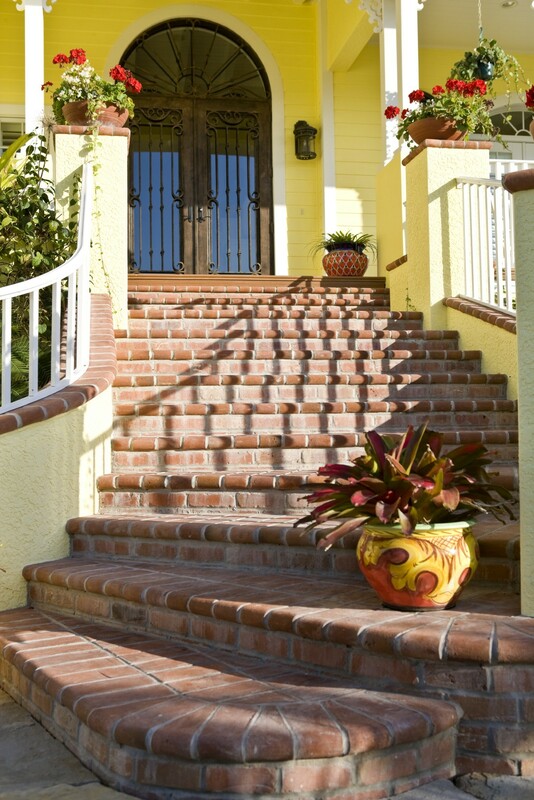 To help the home sell, create balance using fire and earth elements – red or orange-colored plants on either side of the door or by replacing the door mat with a red or orange rectangular- shaped mat. The goal of getting a home sold is to create comfort and appeal so that buyers linger in the home. The more time a buyer spends in the home, the more likely they are to buy it. To help buyers linger, you’ve got to create coziness. Coziness creates comfort and it is indicative of a gentle flow of energy. Adding earth elements like rectangular area rugs, square wall art, and window treatments help create coziness. 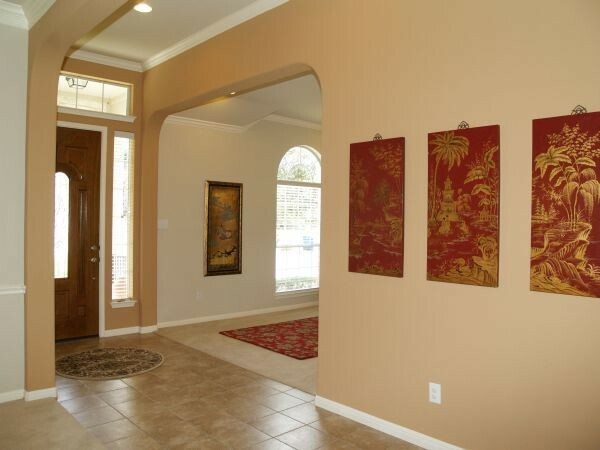 In long hallways qi can move too quickly if you don’t have wall art, earth wall colors, or area rugs to slow it down. The goal is creating slow, meandering qi. On long straight walkways outside, you can stagger potted plants to change the feel of rushing qi. In the current real estate market, home sellers need every advantage to get their home sold quickly, but it should be noted that Feng Shui it can’t overcome setting a home sales price too high. However, Feng Shui will absolutely help the home to feel welcoming and comfortable which will help set it apart from other homes on the market. Can you spot the Five Elements in this photo? Scroll down for answers. Feng Shui is based upon the principles of Yin and Yang. Yin and Yang are the parents of “the five elements”. The five elements — fire, earth, metal, water, and wood are used in Feng Shui to create balance and harmony. The elements describe different types of energy (qi) and can be thought of as “five phases” because energy is constantly moving and transforming. Everything in the world is created from a combination of the five phases. They are the building blocks which create the quality of energy present in a certain space. Why is this important? Because when energy is balanced, you’ll feel relaxed and comfortable in a space producing a higher level of satisfaction with life. The goal of Feng Shui is to balance the elements in an environment so that they don’t conflict with each other. Using color, shape, furniture arrangement and space planning, a Feng Shui practitioner arranges the elements a harmonious way and makes the unseen, seen. The qualities of each element is manifested in its color, material, and shape. However, you’ll rarely find an element that’s just a single element – most things consist of a combination of elements. For example, when we use the term wood qi, it means that it has a preponderance of wood qi, not that it is only wood qi. Water nurtures -> Wood nurtures -> Fire nurtures -> Earth nurtures -> Metal nurtures -> Water. 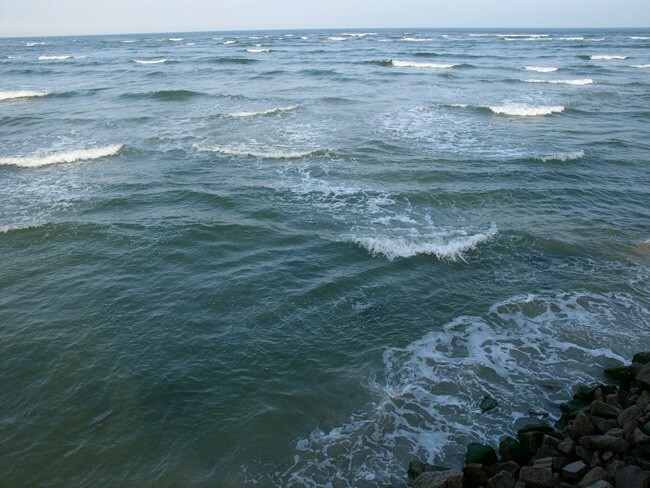 Water weakens -> Fire weakens –> Metal weakens -> Wood weakens –> Earth weakens –> Water. At the most basic level, if you have a room with a pitched ceiling, painted red, with white furniture and white drapes containing circular-shaped pattern, the room will have a lot of fire and metal qi. Why? Because red is a fire color, and the pitched ceiling is a fire element (triangular), white is metal color and circles are metal shapes. Fire is destructive to metal. The elements are following the destructive cycle. This is undesirable and the unseen conflict between fire and metal can cause you discomfort in the room. How to move into the Productive Cycle? Add rounded-leaf plants in square-shaped pots to add earth, wood, and water energy. Earth energy is found in the dirt and the square-shaped pot. 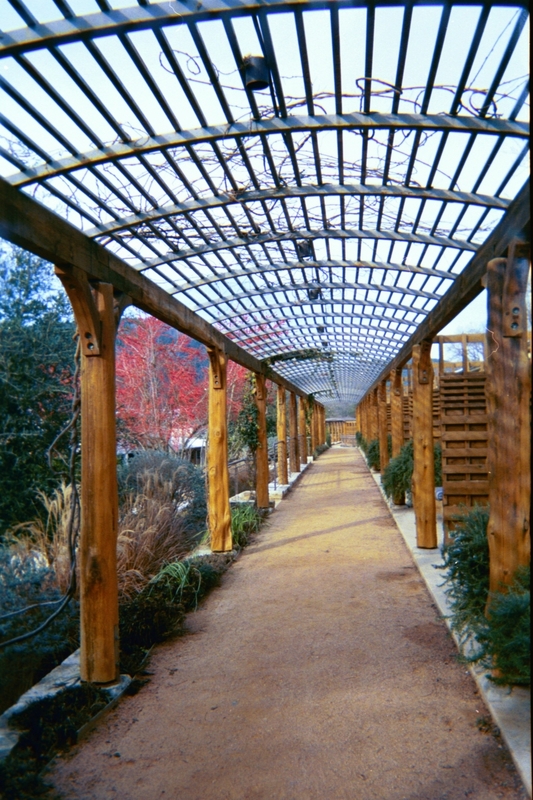 Wood energy manifests from the color green and from the very nature of the plant. Water energy is found in the curved shape of the leaves. Adding the missing elements buffers the conflict between metal and fire and creates the productive cycle. Second, what is the room used for? Recommendations for a bedroom will be different than for the dining room. You need to determine the quality of energy needed in the room based on its usage. For example, earth energy in a bedroom is desirable because it is grounding and can help you relax. In an office, too much earth can make you lethargic and not wanting to work. Third, what is the birth-year energy (or ming-gua) of the people who will be using the room? If you are a water element the best elements for your bedroom are water energy and metal energy (metal creates water). Yet that doesn’t necessarily mean that you need to add these elements if they are already inherently in the room. The goal of Feng Shui is to create balance and harmony through correct energy balancing. When a room is balanced energetically odds are you’ll feel it as you walk in. If you get the feeling of peace and feel like relaxing your shoulders look around and see if you can spot how the five elements are used in the room. Intuitively, we all can feel when a space is balanced. Can you spot the Five Elements in this photo? 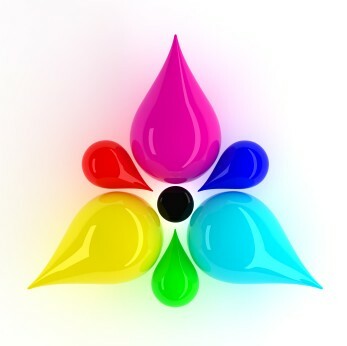 Water – the curved arms of the chair; the color of the floor (black). Wood – the inherent material used in constructing the chair; the shape of the chair legs. Fire – the color of the upholstery (orange). Earth – the square-shape of the squares on the wall; the shape of the bottom chair cushion. Metal – the color the chair was painted (white); the circular back of the chair; the color of the wall (grey). Have you ever wondered why certain rooms in your home feel more comfortable than others? 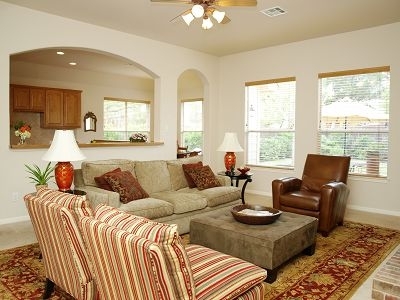 Or why rearranging a room makes it not only look, but feel differently? Perhaps without realizing it, you’re experiencing the principles of Feng Shui. Feng Shui is the ancient practice of arranging the physical environment to harmonize energy. When your environment is balanced and harmonious, it has a positive affect on your life. Good Feng Shui mitigates problems and increases opportunities in your life, often creating circumstances that help you out of a negative situation. Correct Feng Shui can increase prosperity and allow harmonious relationships. Conversely, incorrect Feng Shui can bring discord in relationships, as well as money problems, accidents, and chronic disease. The widespread practice of Feng Shui in Asia is a powerful testament to its potency. In Hong Kong, few businesses or residents risk having incorrect Feng Shui. Although thought by many to be a New Age phenomenon, the art and science of Feng Shui has been around for centuries. 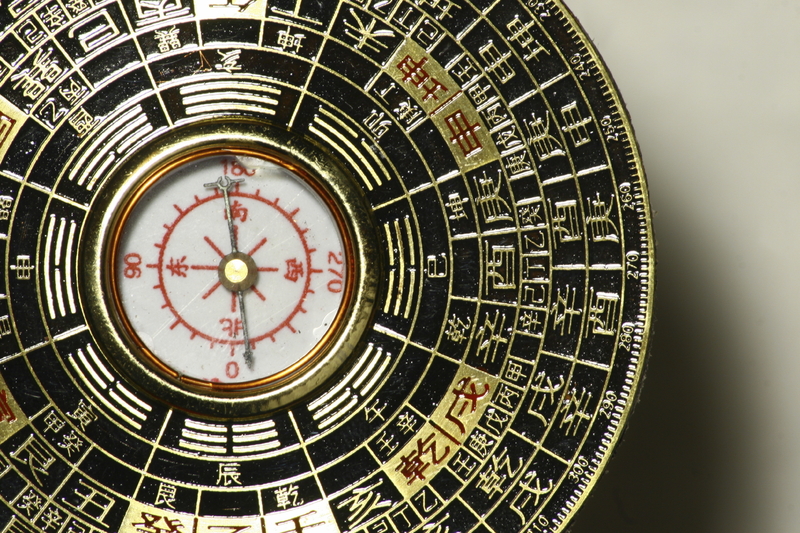 About 6000 years ago, the Chinese began using principles of geomancy, or what is now called Feng Shui. Observing the Big Dipper and the rotation of the planets, they applied their observations to the placement of ancestral grave sites. Correct grave placement was thought to bring prosperity for the deceased’s descendants. Soon, Chinese Emperors used Feng Shui to find the most suitable place to build a fortress. Today, Feng Shui is associated with anything from cosmetics to car design to fountains and mirrors. It’s no wonder people see it as a New Age gimmick. Most of us have heard of qi (chi). It’s a term simply described as energy, but it’s actually more profound. Qi is the underlying essence of all things. Qi has direct impact on your health, wealth, and relationships. The goal of Feng Shui is to enhance beneficial qi in your space while keeping out detrimental qi. At the most basic level, Qi is classified as having either Yin or Yang qualities. Yin qi is feminine and quiet. Yang qi is the opposite of Yin. It’s masculine and active. 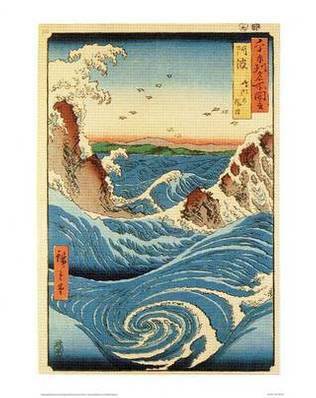 Qi is further characterized as being a combination of five elemental energies -earth, metal, water, wood, and fire. Balancing elements in your environment ensures a harmonious environment. A harmonious environment helps you to relax opening the door to better health and greater ease in all areas of your life. A traditional Feng Shui practitioner works to balance energy in a space, similar to how an acupuncturist balances qi in your body. The correct application of the principles of Feng Shui allows qi in your environment to nourish you. This is the essence of Feng Shui. The study of Feng Shui is a lifetime study and there are hundreds of different systems of Feng Shui. The traditional approaches to Feng Shui use a compass to take directional readings of your home and analyze the impact of geographical features such as street traffic, neighboring houses, and landscaping. Time-Space Feng Shui measures how energy reacts in a space in a given time by using mathematical and logical system to interpret the energy patterns. It’s through the correct analysis of outside forms and qi flow patterns in a space that energy can be balanced. A Time-Space Feng Shui consultant takes compass readings to measure the facing direction of your home and prepares an energy chart of your house. The chart shows the type of energy in the structure and which areas are out of balance. These areas can be analyzed thoroughly and specifically addressed to improve health, career goals, relationships. The recommendations may include opening windows in certain locations (when weather permits), adding an elemental cure, and rearranging furniture. Feng Shui can improve your satisfaction with your life but of course, it’s not a magical cure. Every object and form both inside and outside of your home influences you. Applying the traditional principles of Feng Shui can ensure an optimum environment which will support your health, wealth, relationships and over all well-being. Questions about Decorating, Home Staging or Feng Shui? Email me with Feng Shui questions or any other questions regarding this Blog. I'll post your question and my answer. Thanks!